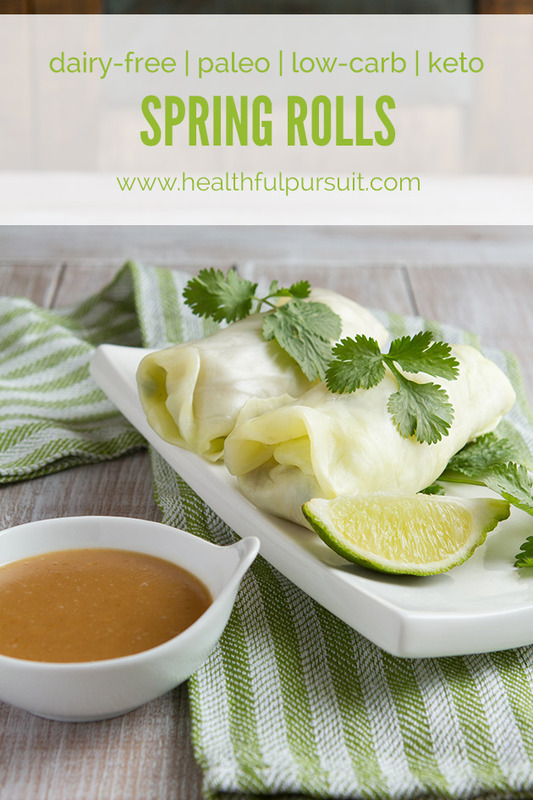 This keto spring roll recipe is one of many delicious keto recipes in The Ketogenic Cookbook by Jimmy Moore and Maria Emmerich. This specific keto recipe from the cookbook is naturally dairy-free, so I didn’t have to make many substitutions before sharing it with you. 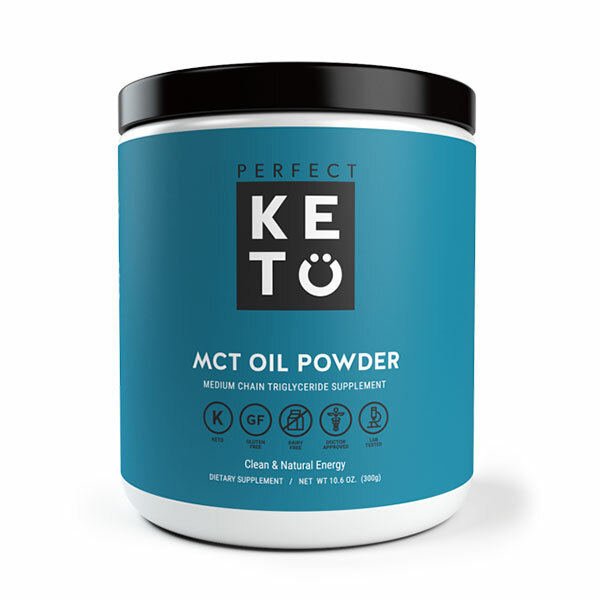 The Ketogenic Cookbook boasts keto recipes with simple prep, whole food ingredients, with a focus on healing the body. Right up my keto alley! I boosted the general awesomeness of the keto ginger dipping sauce by adding a scoop of Vital Proteins Collagen Protein Beef Gelatin (with the green top). It doesn’t affect the consistency of the warmed keto sauce and provides a source of gut healing power to your day with minimal effort. Win! Vital Proteins Collagen Protein Beef Gelatin is virtually odorless and tasteless, making it extremely versatile. It will “gel” in cold liquids. 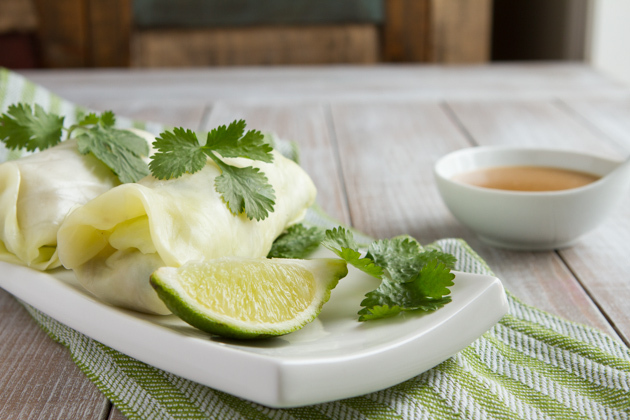 As a result, gelatin is ideal for hot preparations like keto soups, keto broths, keto sauces or keto gravy as a natural protein booster and thickener, or used in baking. You can also add gelatin to hot beverages like herbal tea or a frothy keto Rocket Fuel Latte. Health wise, gelatin, as opposed to collagen, has the advantage of taking slightly longer to digest, and coats the small intestine, making it beneficial for gut healing diets like GAPS, AIP or SCD. 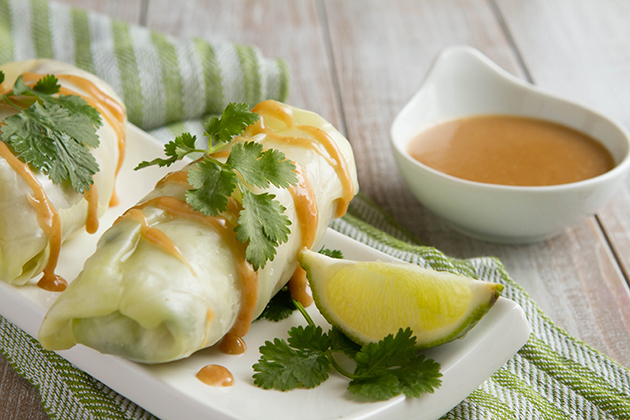 The only trick to this keto recipe is being patient with the cabbage preparation. The leaves, the blanching, if you can get over this process, you’re ace. And the end result is just so darn delicious that it’s worth the preparation steps. And, once you’ve made this keto recipe once, you’ll fly through the second, third and fourth time. Yes, there will be a fourth time. It’s that good. 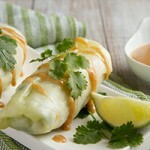 What other rice wrap recipes could you see cabbage leaves being good as a replacement? Let’s chat about it in the comments!